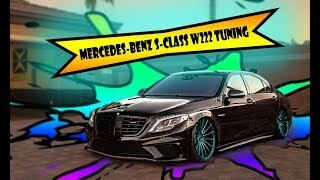 German Special Customs have released their tuning program for the legendary 2014 Mercedes-Benz S-Class. The upgrade kit starts out with striking modifications on the exterior such as the bulky aprons, front spoiler bumper bar with built-in LED daytime running light bars, some work on new side skirts, sport exhaust system, lowered ride height and an undated hood with integrated ventilation openings. Different XL wheel/tire combinations of 21-inch diameter will be available. GSC has offered significant power boosts for the W222 engine in pipeline. 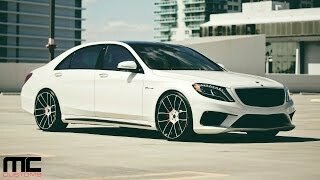 The Biturbo V8 Sports S63 AMG will deliver an impressive 850 HP (635 kW) following the GSC power upgrade.